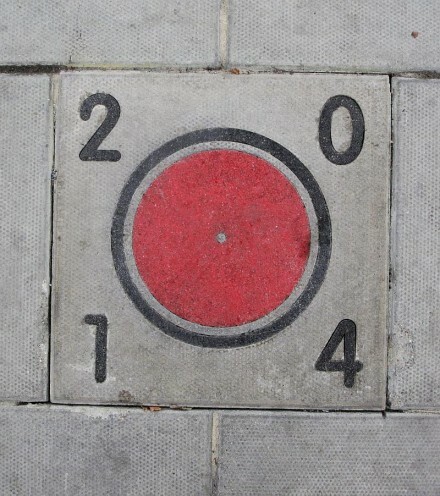 Walk around Loughborough Junction and your curiosity maybe aroused by colourful paving slabs. These slabs can bring to your device three stories about Loughborough Junction during World War One. A different colour for each story. 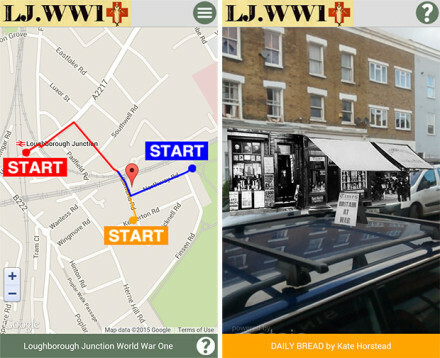 The LJWW1 app recognises each paving slab in the trial. Capturing the pattern on each slab triggers the augmented reality (AR) story experience. AR allows you to hold your smart device up to objects and see an image, video and or audio which isn’t there. 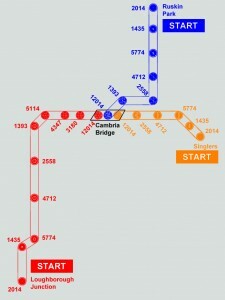 The Cambria Bridge was successfully regenerated through the 7 Bridges project, another successful project by LJAG.The app draws on the history of the area and art from the 7 Bridges project. The final AR experience for each story is contained in the “Emerging Eye” artwork on the bridge and provides a coda to all the stories.